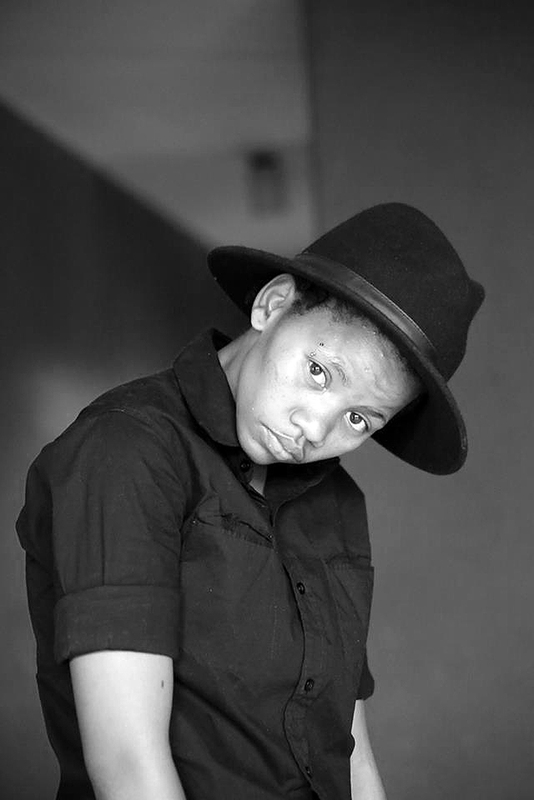 Lebo Leptie Phume & Zanele Muholi interviewed some special friends about their Christmas wishes. I grew up celebrating Christmas because that’s what everyone was doing and it’s not like I had a choice not to celebrate it. Even though I never understood why we celebrated the day, I did any way. All I cared about was getting new clothes from reconciliation day (December 16) until New Years Day. Now that I am grown up, I have a choice not to follow what was set for us, but be the person I want to be. I don’t like this time of the year, hence I don’t celebrate Christmas but I wouldn’t say no to a gift. There are a lot of material things I would like for Christmas but they are not as important right now. My Christmas wish was to spend this holiday with the woman that is close to my heart. The woman who always finds a way to make me smile effortlessly, she is the pillar of my strength. I wished for a day full of love, laughter and joy. We asked some acquaintances to share their Christmas wishes. My wish for Christmas is simple but very important. I wish for internal peace in our homes, in my neighbourhood streets, in my place of worship, at work, socializing places and where I do my shopping. I wish to open my eyes and find my community at peace where no man or woman is ostracized or killed because he or she is different or is from a different country. I wish to walk hand in hand with my partner and for the boys chilling at the corner to be at peace about it. I also wish more than anything that my wish becomes a reality and that things remain that way for eternity. I am growing up and starting to view things in a different light. As a kid I loved Christmas and looked forward to getting new clothes. We never received presents, so I have never looked forward to any presents. However, I started to question the relevance of Christmas Day to me as a child born in Africa. My plans for Christmas was to spend the day at a friend’s place eating, laughing and just having a good time. I’d really love to spend Christmas with my whole family including my fathers children, which will be thee best Christmas ever. I’ve never been able to spend such holidays with them because we all live with our mothers in different parts of Gauteng. A Christmas filled with love, laughter and peace. I wish for joy, peace, happiness, and love upon my family and to be happy as much as I can. To win the lottery so I can buy a house, car and I wish God can bless me with all I wished for. I don’t celebrate Christmas but I do spend the holiday with family and I would love a two-day holiday. All I want for Christmas is love, joy and happiness. There’s nothing I value more than family. Having people I love and care for under one roof is a gift on its own. Having a home cooked meal, prepared with love and laughter is what I want. Spending it at my late grandmothers house is a blessing because not only does it guarantee a great time, it is also a way of paying our respect to her. If things were going my way I would have spent my Christmas with my family as I usually do. I wished to be home for Christmas so I could spend it with my grandfather. I wished for a new phone or sneakers, go sleep in a hotel and get all pampered with full body massages. I also wish I could find suitable space for my business. My Christmas wish is to have it humanly possible to meet Christ in person. I want to thank him personally for protecting me, giving me life and wisdom that is not acquired at any university but is rather acquired from life experiences and lessons. Mostly I’d love to have his blessings in achieving all my heart desires. If things were going my way, I would have bought myself a laptop and a new hard drive for Christmas. However, I opted to divert that money into a voice training and speech course. The reason is because it is my form of survival as an artist. The entertainment industry doesn’t take one seriously, if they do not have any formal qualification. This industry feels no need to respect an artist financially if they do not have a qualification. Cheers to 2015 making us rich and famous. Love and blessings. I would like to wish my late Phumy a Merry Xmas. It really hurts to spend this Christmas without her, and I would like to receive a card from my Phumy, but I cant. Merry Xmas to her…may her soul rest in peace. Bengizojabulisa umndeni wami. Abashana bami bengifisa ukuthi bangafikelwa umunyu wokuthi akasekho ubaba wabo. Bebezogqoka izimpahla ezintsha kusasa lomncane ngangimuthembise i biycle. Umawam’ ngangimthembise imali yokuzithengela nje into ayithandayo. Bengizitshele ukuthi sizogqoka kahle sonke, ngiqashe imoto iyosihambisa emathuneni soyobavakashela abafowethu ababili nobaba esebelele khona laphaya eMobeni Hieght. Kuyimaye sibuya sesiphana izipho, sesidla isidlo sase mini ndawonye. Ukube bengine mali eyanele kahle bengizoba nokhisimusi omuhle. If things went my way, I would have a production house registered. What I would like to receive is production equipment (Mac book pro 15-inch with media software such as final cut pro, motion, garage band, adobe suite, sound equipment, IPad with an attachable keyboard), and a pair of all stars. Wow! Ok, for me I would like to receive a new car for Christmas or a new outfit. This entry was posted in A new visual history, Abantu, Acceptance, Act, Acting, Articles, Articulation, Arts, Arts & Culture, As we are, Attention, Baring, Beautiful, Beautiful people, Beauty, Before US, Before You, Begging, Being, Being conscientized, Being heard, Black Queer & Gifted, Blackness, Bodies and histories, Captioned, Captured, Caring citizens, Celebration, Challenging the un-African homosexuality, Characters, Christmas wishes, Citizenship, Claiming, Collective, Collectivism, Comfort, Comment, Community, Connected souls, Connections, Consideration, Crea(c)tive senses, Creating awareness, Creative Writing, Cultural activists, Daring, Dedication, Delegation, Different positions, Edited, Education, Emotional support, Empowerment, Evidence, Excitement, Existence, Experience, Expertise, Exploration, Exposure, Expression, Facing You, Facts, Families, Families and Friends, Family support, Fantasy, Favourite, Featuring, Feelings, Festive season, Freedom, Freedom of being, Friends, Friendships, Give, Gratitude, Happiness, He(ART), History, Homosexuality, Honesty, Hope, Human Beings, I almost wished, I am not the only one, I am Somebody, I can't do it ALONE, I was (T)here, I was here, Imagined, Incredible, Independence, Individuals, Influenced, Inner feelings, Know Your SA Queer History, Knowledge, Language, Lebo Phume, Legacies of Existence, Lessons learnt, LGBT community, Liberation, Life, Life is a production..., Life lived, Life Stories, Live, Living, Living by example, Longing, Love, Love is a human right, Love is Queer, Loved, Lovers, Loving, Mainstreaming our queer issues, Memories, Mind, Mission, Moments, Moments in our history, Motivation, Naming, Patience, Perception, Power of the Voice, Powerful, Privilege, Queer Power, Queer South Africa, Queer texts, Queer visibility, Questions, Real, Reality, Reason, Recognition, recognized, Recording, Reflections, Relationship, Relationships, Remembering, Respected person, Respondents, Self-worth, Sexuality, Sexuality in South Africa, Sharing, Sharing knowledge, Sharing thoughts, Success, Visibility, Vision, Visual Power, Visual sense, Visual Voices, Visualizing public spaces, We Are You, We Care, We love each other, We Still Can with/out Resources, Wishing and tagged Expression, Feelings, human rights. Bookmark the permalink.